Irish Farmhouse bed and breakfasts are so much more than just accommodation, they enrich your holiday experience and provide lasting memories of the perfect vacation to Ireland. All our Farmstay B&Bs are furnished to the highest of standards, without losing their home-from-home appeal. Bedrooms are decorated with warmth, comfort and relaxation in mind. 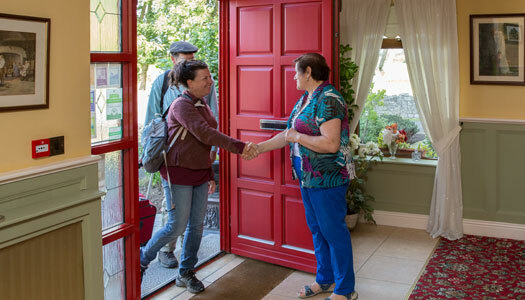 B&B hosts are renowned for their friendliness and from the moment you step over the threshold, you will be made to feel part of the family. Hosts are fantastic cooks and will provide you with tasty home-cooked food, with the traditional Irish breakfast a speciality. Irish Farmhouse B&Bs are the ideal way to fully immerse yourself in Irish culture and traditions. Homes are run by Irish families so you get the chance to sample the traditional Irish way of life first-hand. With lots to learn and plenty of work to do, even the slickest of city dwellers can add a string to their bow in the farmyard. Kids will love meeting the donkeys, hens and ducks, and can even get green-fingered picking vegetables from the garden. 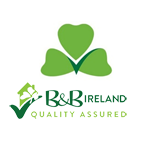 B&Bs are located throughout Ireland and are close to all the must-see attractions, must-do activities and airport/ferry access points. Unlike hotels you will find a B&B in towns, countryside and village locations. Ireland is such a scenic country and staying in an Irish B&B will enable you to fully appreciate its natural beauty.